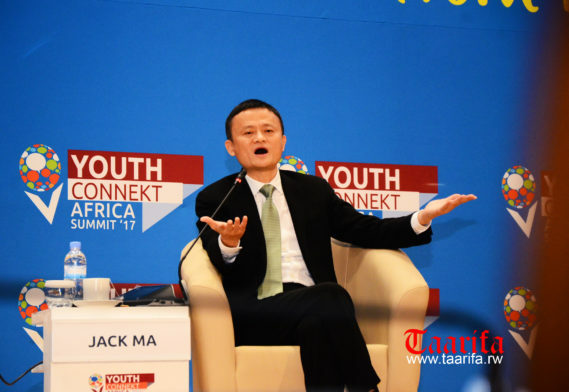 Chinese billionaire Jack Ma, who is attending a youth summit in Kigali Rwanda, has announced that he, this morning, thought about an idea. He said he will set form a foundation and contribute $10 million to support African Youths entrepreneurs. This is the firts time Jack Ma has vited Africa and Rwanda in particular. Ma held a meeting with President Kagame earlier before heading to the Kigali Convention Center to address thousands of youth from around Africa who are in Kigali attending YouthConnekt Africa Summit. The billionaire is said to be with a delegation of about 30 Chinese billionaires including the Chairman of StarTimes, Peng Xinxing, whose total wealth is three times more than the GDP of East and Central Africa combined.